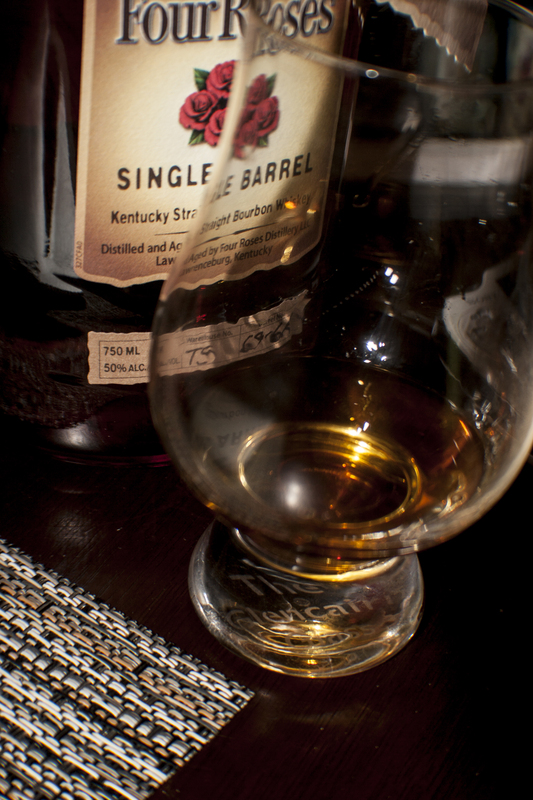 First up on the list is the Four Roses Single Barrel. Nose: Powerfully sweet notes right up front. Absolutely gorgeous oak notes. Bright pepper scents. Neat: Peppery right up front with a sweet finish on the end. It has a stronger, fuller body than the nose suggests. On the Rocks: The sweet vanilla flavors become more obvious with a pleasant oak. The pepper moves to the end. Verdict: This is an amazing bourbon. Fully worth the $50 retail. It seems almost a shame to mix it, as it holds up so well on its own.